Step back to an era of gracious living and antebellum splendor in this luxurious mansion of the old south located in Mississippi's First National Historic District. This 1850, Greek Revival style plantation mansion is comprised of the main house, two guests houses, carriage house and quarters. Overnight guests will be surrounded in a "Gone with the Wind" setting. 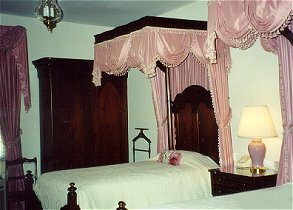 Each luxurious guest room is furnished with 18th & 19th century antiques, elegantly draped canopied beds, private baths with large vanities, air conditioning, cable TV and telephones. 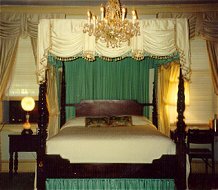 A full southern breakfast and tour of the bed and breakfast are included. Port Gibson is the third oldest town in Mississippi, incorporated in 1811. This historic district, with its tree lined streets, offers visitors a quiet retreat to the past with historic tours of antebellum mansions, Civil War battle fields and museums. See the town that Gen. U.S. Grant said, "was too beautiful to burn", May 1863. 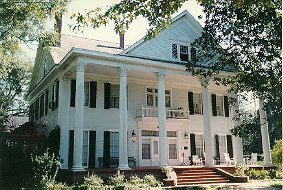 This and other Port Gibson Bed and Breakfast Inns can be found here in The Register.